Do not attempt to turn on your Water Service! Note: If a consumer is found to be responsible to any damage done to District property, such damages shall be reimbursed to the District at cost plus administrative overhead. If responsibility for damage is not known, charges will be made to the current consumer or property owner. An Owner of a Residential Property is someone who has purchased a single family residence, multi-family complex or parcel and has assumed responsibility for all water related billing charges. If you are an owner of a residential property needing water services and would like to open a new account with the Palmdale Water District, download information for either Single Family Residences (Spanish) or Multi Family Complexes (Spanish) to get started. A Real Estate Agent (Broker) of Residential Property is the representative who has been contacted by the Mortgage Company (Lending Institution) who is/will be the legal owner of a single family residence or parcel. The Lender has contacted the broker to assume responsibility for all water related billing and charges. Download our Realtor Application to help you assemble the required documents, which may be faxed or presented to a PWD representative in person. If you are a developer of residential tract properties and would like to open new account(s) with the Palmdale Water District, download our Developer Water Service Application to get started. Commercial, Industrial and Irrigation properties are businesses that accommodate retail sales or manufacturing. This includes owners or entities leasing the property who are assuming responsibility for all water related billing and charges. If you are a owner or leasing a commercial or industrial property and would like to open new account(s) with the Palmdale Water District, download our Commercial/Industrial/Irrigation Water Service Application to get started. 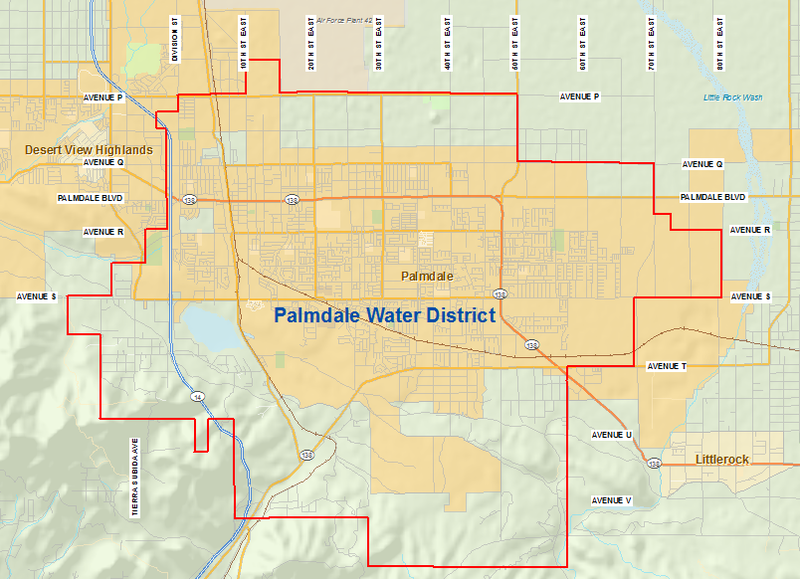 The Palmdale Water District recognizes two types of temporary service accounts. These temporary accounts can only be applied for in person at the main office. These accounts are often used by property management and/or realtors to clean and prepare a residence for move-in by a tenant. Download our Temporary Cleaning and Maintenance Account Application here. These accounts are issued when construction water is being used by development for underground utility construction, dust control, finish grade earthwork and limited rough grading projects. For more information, please contact the District’s Engineering Department. If you need to establish water service for new development, visit our Land Development page for step-by-step instructions on how to get service established.